Women are redefining the boundaries set by age-old prejudices in almost every field. The arena of technology is no exception. The domain of technology is evolving every day owing to various entrepreneurs and inventors leading the way. In this backdrop, female entrepreneurs are making a significant contribution to the field of robotics. Women are altering the way humans will interact with robots in the future. From sophisticated drones to projecting and implementing symbiotic ideas, women are reshaping the future of the industry. The following list shows few of the many pioneering women making their presence felt in the field of robotics. Li is the chief scientist of artificial intelligence (AI) and Machine Learning at Google Cloud. She has the objective of democratizing AI and leveraging its applications by keeping its diversity in mind. She also believes that given the potential of AI, basic research on AI should be carried out responsibly. The future of robotics is completely intertwined with AI now. Li believes that the key to an effective AI strategy is to enable it with smart vision, that is, a robot capable of reacting to external stimuli and factors, instead of just recording it. She’s an associate professor at Stanford’s computer science department and the director of the University’s Artificial Intelligence and Vision laboratories. With over 150 scientific papers under her name, Li is a leading expert in this field. She also built an image dataset that deals with the latest developments in visual object recognition software research named ImageNet. She also advocates AI educational programs for underrepresented groups through AI4ALL. The founder as well as the Chief Scientist at Jibo, a personal robotics company, her focus is on personal robots that help people in their daily lives. In a world that majorly believes AI has the potential to surpass human intelligence and work against it, Cynthia’s objective is to create robots that will have an impact on the society by working closely with humans. Jibo is the prototype of such an objective. It is the world’s first family robot. It helps busy families to coordinate and connect with each other. It has an inbuilt recognition technology that recognizes the voice of the family members so that it can identify which member is speaking and assist her in the best way possible. Owing to the social stigma, belief and unprecedented growth in the technological field, AI has been often stereotyped and associated with negative dimensions. Cynthia has been a path breaker in this context by being a harbinger of social robotics. She’s the founder and director of MIT Media Lab’s Personal Robots Group. Greiner is the co-founder of iRobot and also the founder and former CTO of CyPhy Works. CyPhy Works is a prominent start-up specializing in making multi-purpose drones. Born and brought up in London, Greiner co-founded iRobot, which specializes in delivering robots to the consumer market. In her tenure, iRobot released several specialized military robots. She also bagged the Anita Borg Institute Women of Vision Award for her innovative work at iRobots. Greiner was also inducted into Women in Technology International Hall of Fame in 2007. 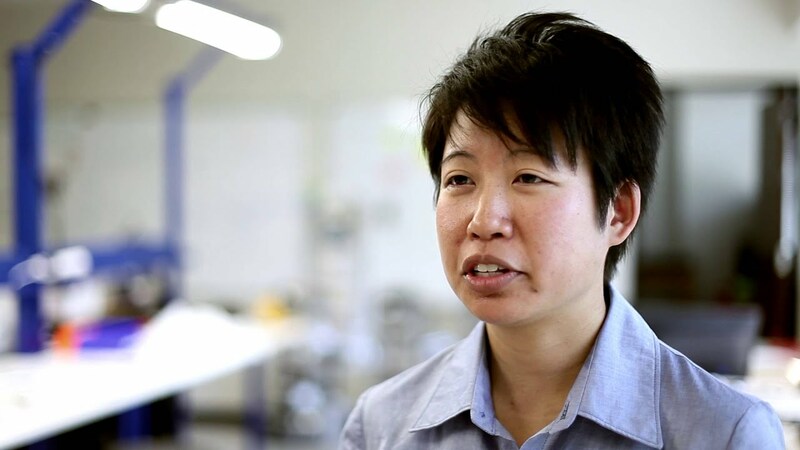 Tessa Lau is the former CTO and Chief Robot Whisperer at the company Savioke that build sophisticated service robots. Lau led the software team and developed the first-generation Relay system. She has been named a 2017 Woman of Influence by The Silicon Valley Business Journal. Under her guidance, a new generation of bots has been created and delivered all across America in different hotels. She is a pioneer in the field of service robots. Lydia is known for her pioneering works concerning paths for robots. A professor of Computer Science and Bioengineering at Rice University, Lydia is the developer of Probabilistic Roadmap Method (PRM), a system that uses randomizing and sampling-based motion planners to keep robots from crashing. The concept was a game-changer in the field of robotics. For robots to achieve any given objective, the first requirement is for it to be ambulatory. She has studied the field in depth, that is also reflected in her book Principles of Robot Motion. The computer scientist is currently a professor of Computer Science and Bioengineering at Rice University. Ruth along with her colleagues at the University of Queensland developed a pair of “lingodroids” that essentially facilitates communication among robots. Rather than just communicating amongst themselves, lingodroids help robots to “talk” with each other. Such concepts and context are getting attention from cognitive researchers like Ruth. The above list points to the fact that these innovators have taken an approach to positively incorporate AI in fields as varied as robotics, finance, biomedical engineering and education. Instead of working against humans, these innovators are facilitating and inventing robots that are conducive to human race advancement and growth. The future of robotics and the human race looks bright with women breaking the shackles to come forward and lead the way ahead.